Our Sahara Rear Twin Door (Barn Doors) Spoiler is a superb upgrade your VW T5 T6 Transporter Caravelle, Shuttle, Multivan (T26, T28, T30 and T32) Vans giving a great look and custom dynamics to your VW Camper too. 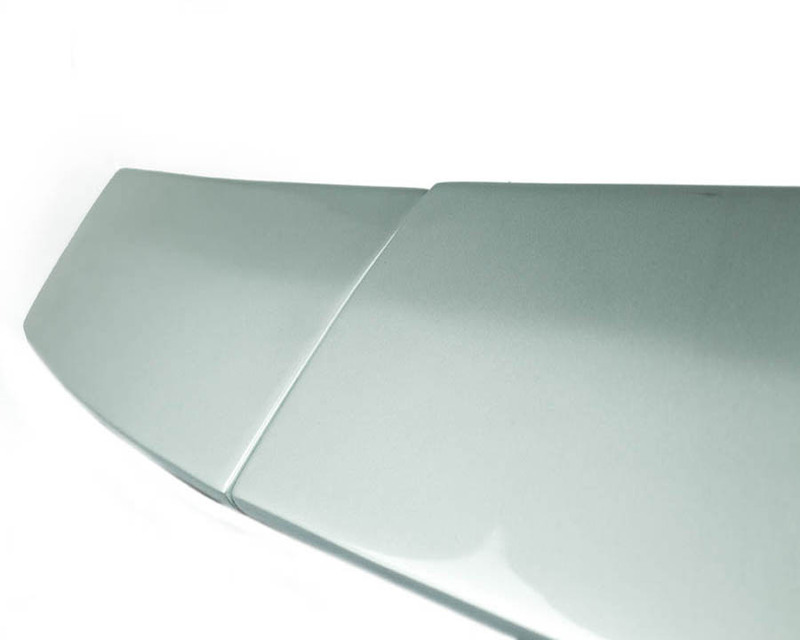 Molded using the latest GRP technology the Sahara spoiler is supplied in 2 parts (for Left Rear Door and Right Rear Door) and is suppied with REFLEX SILVER LA7W painted finish. Our spoiler is totally NON DRILL unlike the VW OEM spoiler. Photo shows Twin Door Model - Also available for tail gate model here. Excellent value for your VW T5, T6, Caravelle, Multivan Shuttle Transporter giving an excellent finishing touch. Click the button below to add the VW T5 T6 Transporter Rear Spoiler Twin Doors - Reflex Silver to your wish list.